Air conditioners and motor vehicles both transfer energy. Air conditioners move heat, and technicians describe their cooling capacities in terms of tons or BTUs. Motor vehicles perform mechanical work, and technicians describe their strength in terms of horsepower. But though the two units generally indicate different operations, they both translate into rates of energy transfer. You can therefore specify an air conditioner's output in horsepower. 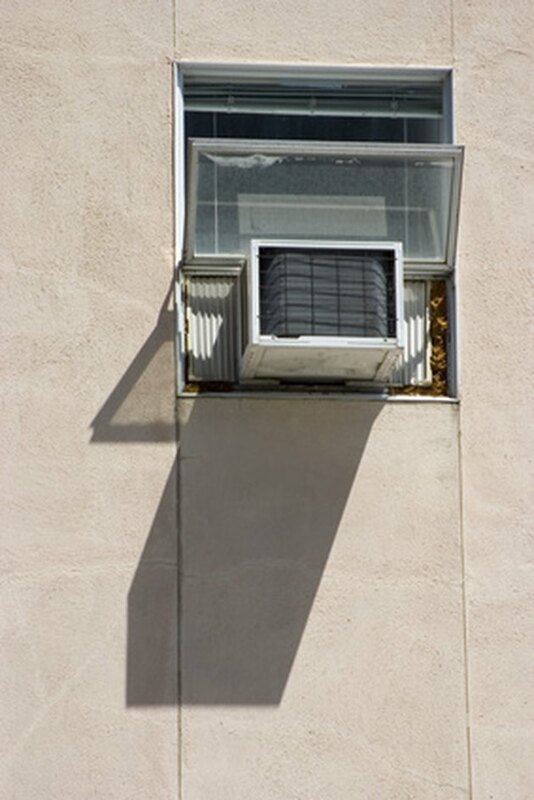 Manufacturers usually rate air conditioners in terms of tons or BTUs. Multiply the air conditioner's size in tons by 12,000 to convert its cooling capacity to British Thermal Units per hour. If the air conditioner has a 1.5 ton capacity: 1.5 x 12,000 = 18,000 BTUs per hour. Divide this answer by 3.412 to convert it to watts: 18,000 / 3.412 = 5,275 watts. Divide the wattage by 745.7 to convert it to horsepower: 5,275 / 745.7 = about 7 horsepower.